Chris Dageenakis is the owner of Custom Lawns. 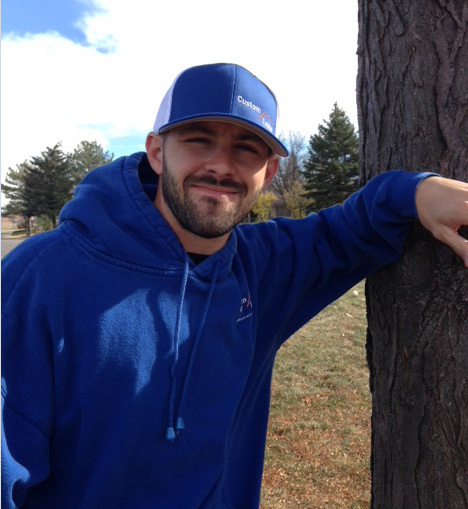 Chris started Custom Lawns in 2009 after working for another landscape company for 5 years. During that time he learned a lot about landscaping hands on and being mentored to get the job done right. He is a native to Longmont and loves it here. Chris is familiar with the soil and harsh elements of Colorado. He still learns new things everyday but will never give up on learning about his passion for landscaping and lawn maintenance. In the first two years of business, Custom Lawns has doubled in size and will not stop there. Chris enjoys working outside and you can count on him to always have a personal hand in your landscape/maintenance projects.